We’re almost at the end of the first month of 2016, believe it or not. I still have few more 2015 wrap-up posts to go, including a recap of my “Love It, Wear It” Challenge and a look at how I did with my purchases from last year. But before I publish those highly statistics-laden posts, I want to take a time out to share my latest “grab bag” of useful links (see previous editions here). Included below are links to articles I think you’ll enjoy on the subjects of shopping and shopping psychology, wardrobe management, style, and personal development. I’m also sharing a few previous “Recovering Shopaholic” posts that you may have missed the first time around (or may choose to revisit now). This “grab bag” of useful links presents the perfect opportunity for you to sit back with your favorite hot beverage or glass of wine and enjoy some quiet time to read, learn, look within, and maybe even laugh a time or two. A view of Downtown San Diego at sunset from Point Loma’s fishing harbor. As in all recent useful links editions, the photo above is one of mine. I periodically share my photos over on Instagram as well. If you want to see my photos there, you can follow me at debbie_roes. You can also check out my previous “photography interlude” blog posts. I know it’s been a little while since my last one, but I will be publishing another installment within the next couple of weeks. “How to Create a Wardrobe You Value” – This is a time of year when sales abound, as retailers are trying to make room for spring merchandise (or autumn for those in the southern hemisphere). You may be tempted to snap up lots of “bargains,” but Bridgette Raes reminds us that getting something on sale does not necessarily mean we are getting a great value. She offers five ways to know if we will receive value from the clothing we’re considering adding to our wardrobes. “Shop Smart: 10 Questions to Ask Yourself Before Making a Purchase” – This infographic from TitleMax piggybacks on the link above. In a recent survey, 75% of respondents admitted to having made impulse purchases, which can often be detrimental to our financial stability. This guide provides 10 key considerations to keep in mind when considering any purchase, big or small. “How to Start a Shopping Ban” – After extensive shopping over the holidays, some of you may be considering taking a hiatus from buying for a few months or even longer. While “shopping bans” have never worked well for me personally, they can be very effective for many people. This post from Cait Flanders was written by someone who is 18 months into a two-year shopping ban, so she knows what she’s talking about! 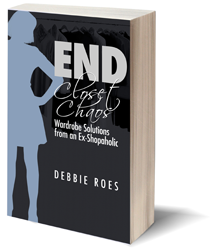 “7 Reasons Why You Have a Wardrobe Full of Clothes But Nothing to Wear” – Most of us have those moments when we look into out closets and exclaim, “I have nothing to wear!” We may not always know why we feel that way, but this classic post from Inside Out Style highlights seven possible reasons for this common phenomenon. But the best part of this article is that solutions are given for all of the reasons. “How to Pack Light: The Whatever’s Clean Wardrobe” – Are you looking for an easy formula to help you pack well – and lightly – for your next trip? Check out the “Whatever’s Clean” formula from The Vivienne Files. With just 13 pieces, you can create at least 80 outfits (which are all shown in the post)! If you don’t like the suggested items, some possible substitutions are presented and accessory ideas are included as well. “Tips for Utilizing Your Wardrobe and Getting Inspired When You’re Stuck” – Almost all of us feel tired of our closets sometimes. If you’d like to inject some fresh inspiration into your wardrobe, check out this guide from Putting Me Together. Included are some easy tips to jumpstart your style, as well as four inspiration ideas you can use to create more interesting outfits. She even uses my term, “benchwarmers,” in one of her tips (it’s cool to know that other bloggers are reading my posts!). “How to Complete Your Outfits with Accessories” – Often when women are bored with their wardrobes, they rush out to shop for more clothes. But what if what we really need are more accessories? This informative post from 40+ Style shows six basic outfits that are made infinitely more exciting and stylish through the addition of various accessories such as belts, bags, shoes, and jewelry. “Behind the Scenes During a Client Styling Session” – Many women are curious about what happens when one hires a personal stylist. While I outlined my virtual styling sessions with Bridgette Raes (see all my posts on this topic here), I didn’t get to experience the pleasure of working with her in person. Fortunately for all of us, Bridgette has started to write some posts about her work with clients, including this great article showcasing an outfit creation session with a woman she calls Ms. Chic (who has a very enviable shoe collection!). “Simple Goal Setting” – Do you struggle to set reasonable and meaningful goals for yourself? This post from The Nife en L’Air outlines a simple way to set better goals based upon your daydreams and romantic visions for your life. Examples are presented of goals for several areas, including physical environment, social life, and the mental/spiritual arena. “Simplifying Your Life is a Matter of the Heart” – If you find that you take one step forward and two steps back when you try to simplify your life, it may be that your heart is not really in the process. 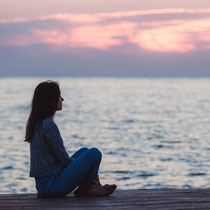 Courtney of Be More with Less postulates that even if we have lots of what we think are good reasons for wanting to change, our emotions need to be involved as well as our brains. She shares her own story as an example and challenges us to look at what’s pulling on our hearts. “Choose to Be Grateful. It Will Make You Happier” – We’re frequently told that we should be grateful, and Americans and Canadians even have an annual holiday dedicated to the practice of gratitude. But did you know that we should still be grateful even if we don’t feel thankful? This compelling New York Times article cites lots of studies that show the power of acting grateful in making us happier people. It turns out that we should give thanks especially when we’re not feeling it. Each month, I share a few early “Recovering Shopaholic” posts that I think you might enjoy reading (you can see all of my posts on the Archives page). The articles below were published in either January or February 2014. If you resonate with what I have written, I’d love to get your thoughts. I wish I could leave comments open on all of my previous posts, but due to spam issues I’ve had to close things out after two weeks. Please feel free to share any comments you have about the archived articles in the comments section of this post instead. “How to Tell if a Garment is Well-Made” – In this era of plummeting clothing quality, it’s more important than ever to know what to look for in terms of well-made garments. This popular post was written by frequent commenter Dottie, who provides tips on fabric, construction, seams, design details, and more. “What is Your Closet Personality Type” – Did you know that we all fall into five main closet personality types? That is what longtime stylist Bridgette Raes postulates based upon her work with thousands of clients. In this post, I outline the basic characteristics of each of Bridgette’s five types. If you find this topic interesting, be sure to check out the follow-up post in which Bridgette responds to questions from readers. “A Hard Habit to Break” – A year into this blog and my recovery journey, I shared that I was still struggling with compulsive shopping. Back in 2014, I set an item limit goal that I was already finding challenging in the second month of the year. 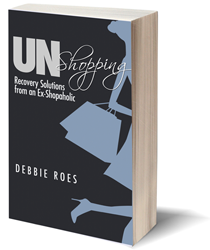 I delve into the reasons for my struggle and my quest to find a life for myself beyond being a shopaholic. I’ll be back soon with my remaining wrap-up posts for 2015, a great guest post on the value of Debtors Anonymous, and my first accountability update of the year, which will now include how I’m doing with my yearly theme as well as with my shopping and wardrobe management. Thanks, as always, for mentioning me, and The Vivienne Files. I’ve got tons of “Whatever’s Clean” travel wardrobes for your readers to study! You’re welcome, Janice. I hope my readers will check out some of your other “Whatever’s Clean” posts as well. They are definitely very helpful! As always, I love your useful links. One useful bit of info I’d like to inquire about is your camera choice. I know you started with your iPhone, but as you got into photography more, what camera did you buy? Your photos are awesome and I would love to know what you use. Many thanks for everything! N.
I’m glad you like these useful links posts, N, and thank you for your kind words about my photos! My camera is a Nikon D3300. My husband got it for me for our anniversary, so he’s the one who investigated it and picked it out. I like that it is relatively lightweight compared to a lot of other D-SLR cameras – and that it’s red (it comes in other colors, too, but the red is more like a burgundy and I love it). I have been very happy with my camera and would recommend it. Thanks for sharing not one, but two, of my posts! I am glad you liked Ms. Chic’s outfits! I’m always happy to share your wonderful posts, Bridgette! I love that you are showing more “behind the scenes” work with your clients. Those are some of my favorite posts of yours. Thanks for sharing your tips and useful links. I am REALLY trying to edit my wardrobe—so painful but I am getting there in small chunks. Your encouragement and sharing your journey is inspiring. You’re welcome, Bobbi. Wardrobe editing is challenging and can take a while, but it’s definitely doable. Keep taking it day by day and you will get to where you want to be eventually. It happens faster for some than others, but there is no one right path or speed to make it happen. Just stay the course…. Best wishes to you! What a great list of useful links! Thanks so much for sharing my blog post! I’d even forgotten I’d written it! Glad you liked the links, Imogen, and it was my pleasure to share your post. It was an “oldie but goodie” for sure. I’m glad I found it. I love that Bridgettes article gives me a credible reason for telling you this story haha. I bought a bottle of perfume recently that cost approx £100 & it smells like furniture polish. My new considered approach to shopping suffered quite a blow & I was devastated. However a few days ago whilst dropping some donations at a charity shop I noticed an amazing wool cape/poncho in my favourite colour (Camel). It was priced at £2.70. I’ve worn the cape every day since & I am constantly complimented on it. Yesterday I was asked on 3 separate occasions where I purchased it & the final lady even asked if she could purchase it off me. I’ve had a tough few weeks as husband has been having treatment so I believe it was my gift from the universe. Thanks so much for sharing your story, Sharon! I’m sorry about the bad perfume, but you really scored with the cape/poncho and I’m very happy for you about that. How wonderful that you were able to get a much needed boost during such a difficult time. Best wishes to you and your husband.